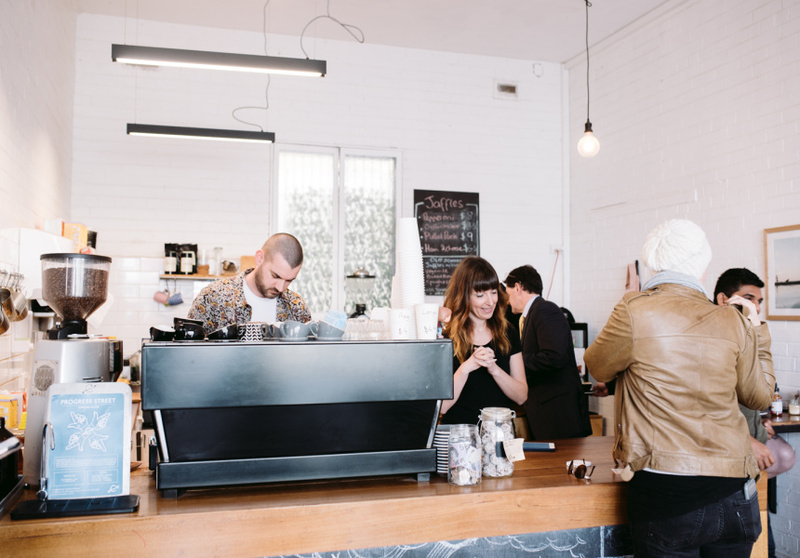 Stereo Espresso is supplied by Mornington success story Commonfolk Coffee Company. Shop owner and ex-graphic designer Les Hunter mans the La Marzocco espresso machine while casually learning everyone’s names. In his city days, Hunter used to buy beans and taught himself the art of good coffee-making. Once back in Frankston and realising he was making better coffee at home than he could buy anywhere in town, he decided to open a shop. 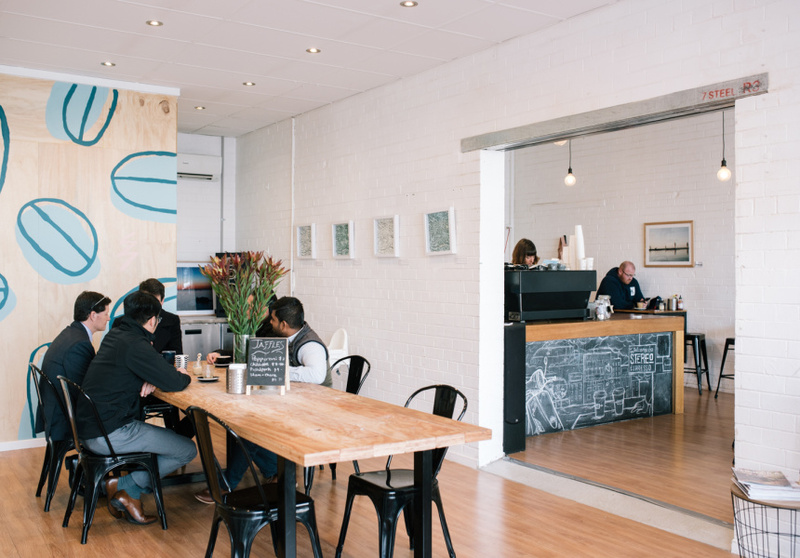 The coffee snobs of Frankston rejoiced. Hunter won’t make you a decaf for the same reason that he wouldn’t drink a non-alcoholic beer (it’s less fun). But he does stock a refreshing soda by Frankston start-up Fruit & Co. It’s made from apple cider vinegar and it’s low in sugar. 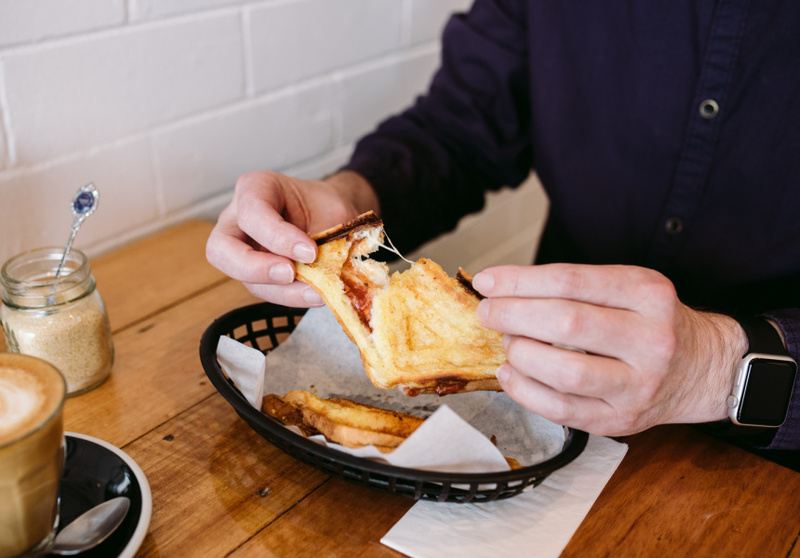 To eat there are homey toasted jaffles (baked beans, vegemite and cheese, salami, pulled pork) or doughnuts from French Patisserie Chocolat in Mornington. That’s it. Regulars feel at home in the modern grunge decor. There’s a bean-bag area for kids and the plywood feature wall covered in giant bright blue coffee beans by Abbey Rich creates a fun and welcoming vibe.